JILL SCOTT BACK ON THE ROAD …..CONCERT COMING NEAR YOU ! She is doing real big now and she is booked up for the year for her radio tour. Who? Jill Scott-MTV News is reporting Jill Scott announced dates for her Real Thing tour. The recent NAACP nominee for Best Female Artist and Best Actress will hit the stage on multiple nights in Oakland, California, February 7th and 8th; Atlanta on February 22nd and 23rd; and Baltimore on February 26th and 27th. Scott will also play a four-night stand in Washington, D.C. beginning March 11th before closing out her tour March 30th in Birmingham, Alabama. This album marks a new beginning after her recent break-up from her husband. Album in stores today, It sets the tone for what real singing and musicianship ask for. There are two options to get. You have the option of getting the one disc or the limited edition with DVD. Someone done pissed Jill the hell off because she is coming hard at all her haters. Basically saying screw you and eat dirt. We should all take a lesson from Miss Scott. You can download this powerful song/message from her myspace. 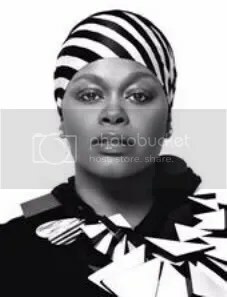 You are currently browsing the archives for the Jill Scott category.